You probably know how much of a fan I was of the Cow Cup by Anywayup - well now I think I may have found a new favourite! The Bird Cup. The Bird Cup by Anywayup is a trainer cup with a screw-on lid (a welcome relief after having accidentally twanged pull-off lids across the kitchen on way too many occasions recently). The design of the cup looks reminiscent of a bird - to me it feels a bit penguiny! It is bold, fun and recognisable. 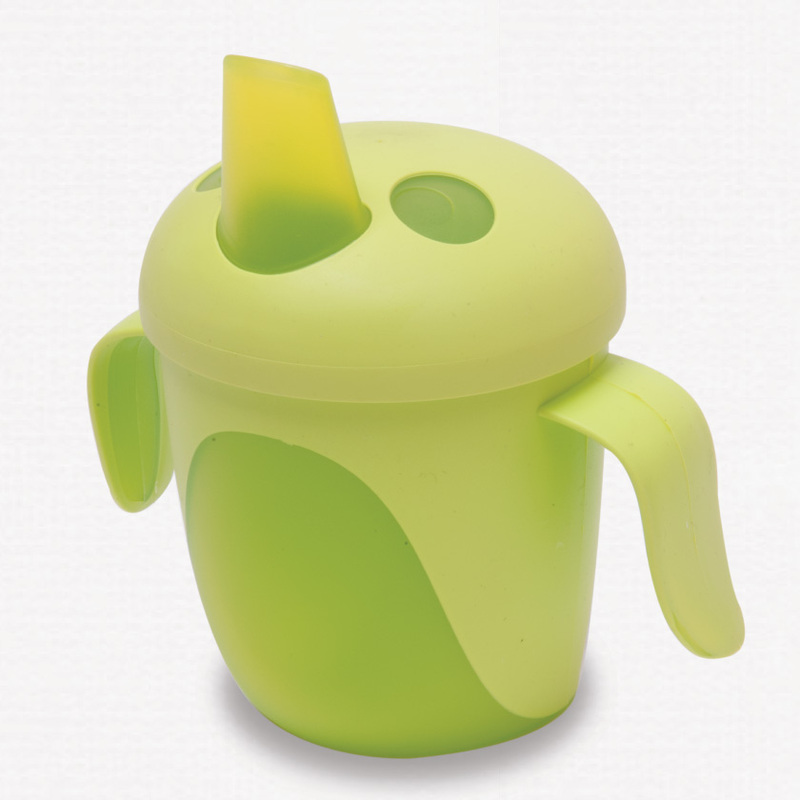 The Bird Cup features the same innovative no-leak valve in the spout as the Cow Cup and now that Holly is used to using a cup she finds it very easy to drink from it. Holly has always been a TOTAL minx when it comes to drinking from a cup (she has an annoying habit of filling her mouth full of drink and then spitting it out all over the place) but things have improved since we started using the Bird Cup. The handles are a good size for Holly and they are easy for me to grab too when she is showing signs that she might throw it overboard. The cup has a 210ml capacity so I can use it for her milk, as well as for a drink at mealtimes. So far I have had no problem with leakage in my changing bag or at home and I think the screw-top lid really helps here. The Bird Cup is available in blue, pink or green.